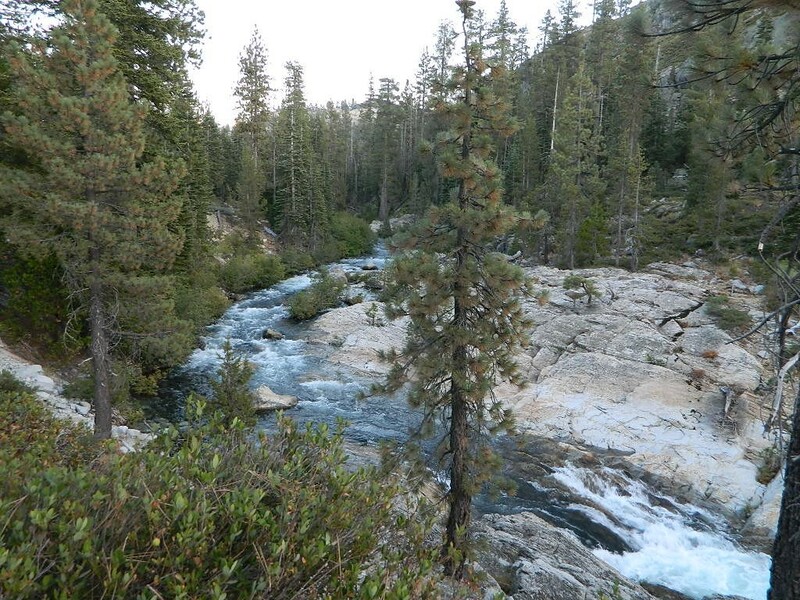 Tucked way back in the granite high elevations, near Donner Pass is a wilderness water flow called Canyon Creek. Connecting small lakes and big reservoir, this creek is part of the Nevada District water supply. 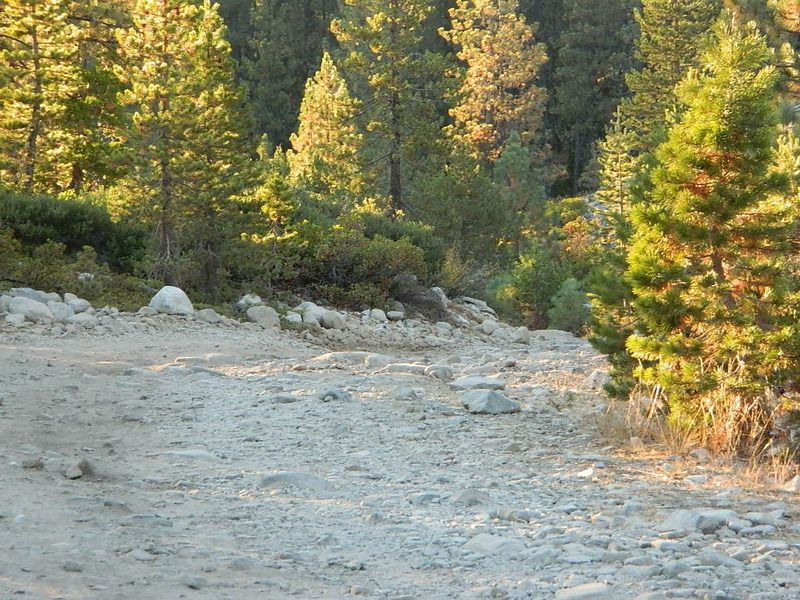 The Sierra Nevada region is Tahoe National Forest and the terrain is abundant rock. Campground is perched on the edge of rock overlooking the impressive whitewater; sounds of crashing water at certain campsites is deafening. 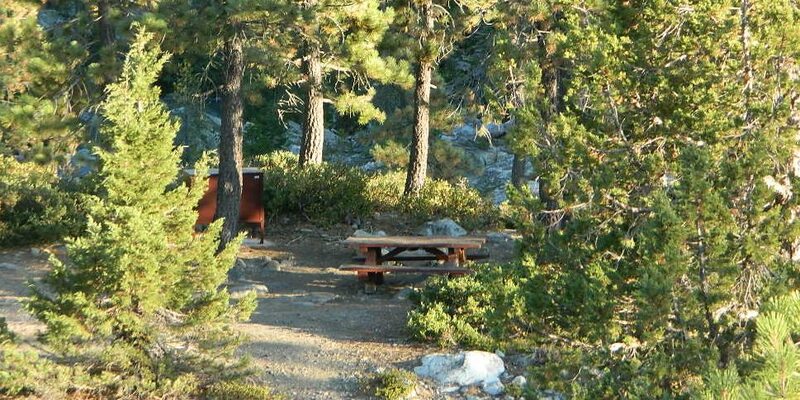 Half of the campsites are located in a forest loop and the rest are out in the open, with much granite and fewer trees, perfect for star watchers. All campsites have new bear boxes – for proper food storage in black bear country. Lake Faucherie is a mile up the creek and Sawmill Lake is a mile down stream, so it’s a great fishing location, as well as hiking, kayaking and canoeing destination. 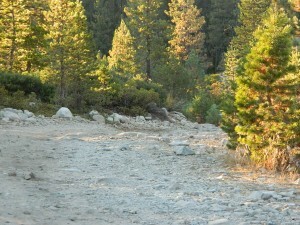 The Pacific Crest Trail (PCT) is also routed close by. 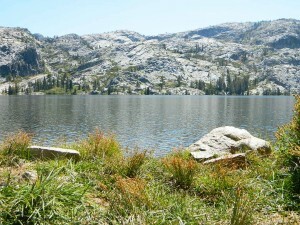 A hiking trailhead at the north end of Sawmill Lake leads to a loop hike of small lakes. Campground loop is paved, but the 12+ mile access road is NOT. One is the longer way Road 18 – paved access off of Gold Country Highway 20, which becomes an 8 mile long, rocky, rough, one-lane road around Bowman Lake. The other is slightly shorter, county road #843 that comes in the back way from Jackson Meadow Reservoir (off Hwy 89, N of Truckee). 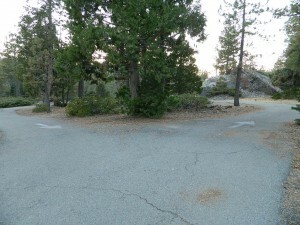 Both of these primitive roads join at Jackson Creek Campground, a favorite among off-roaders. 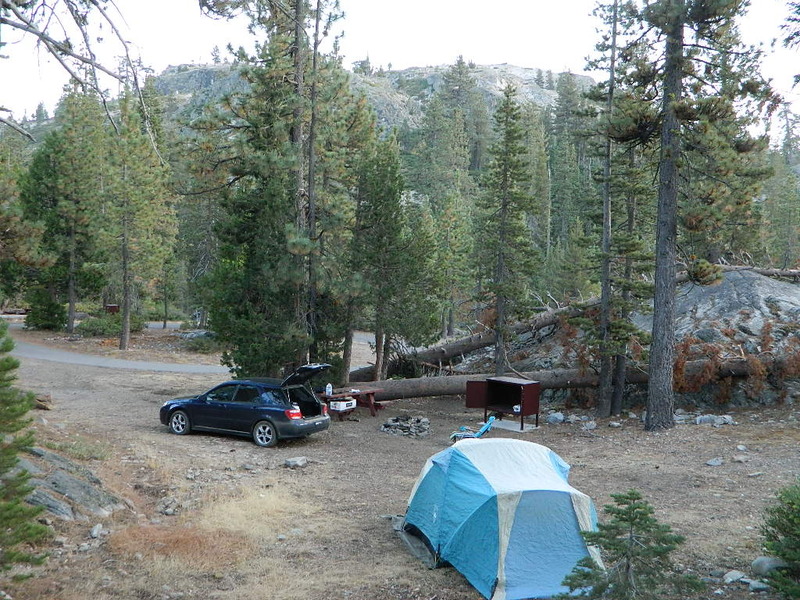 Canyon Creek Campground is another few miles up Road ##843-037, a rugged canyon route towards Lake Faucherie, where the road comes to a dead end. Don’t let the old maps fool you: these National Forest Roads are labeled as gravel roads, but boulders and rock slides are quite common. 4×4 would be nice, but high clearance is recommended. Minimal signs designate trails, roads and lake access; What signs that do exist are old, faded and broken. No warning signage reading ‘high clearance’ or ‘4WD recommended’ – so obviously Tahoe NF won’t be installing new signs anytime soon. Faucherie, Sawmill and Bowman Lakes are all along this waterway called Canyon Creek. Canyon Creek Campground is an excellent campground for staying away from the crowds, which seem to focus more around Bowman Lake & Jackson Meadows Reservoir. 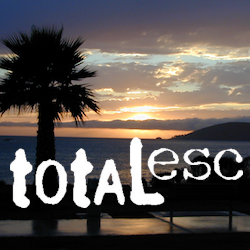 Prefer camping outside of developed campgrounds? 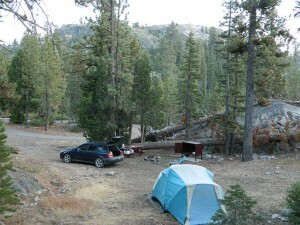 then the primitive camp sites that line Canyon Creek will be a welcomed surprise. Most are clearly marked with small signs and some may require 4×4 to access. 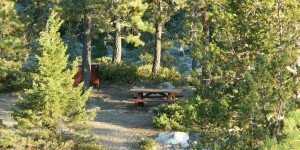 When fire restrictions are tight, campfires are only allowed in the developed campgrounds.